Through a separate flag, the team is getting ready to test image previews also. This means, when you hover cursor on any of the open tabs, you will see an image preview of the tab. Something similar to what you see on Windows task bar. Add a flag to separately enable hover card preview images. CL which actually implements images is forthcoming. Shows a preview image in tab hover cards, if tab hover cards are enabled. Also, note that only a flag has been added to the code and according to the commit log, the actual code to implement this feature will follow soon. This is getting interesting, folks! 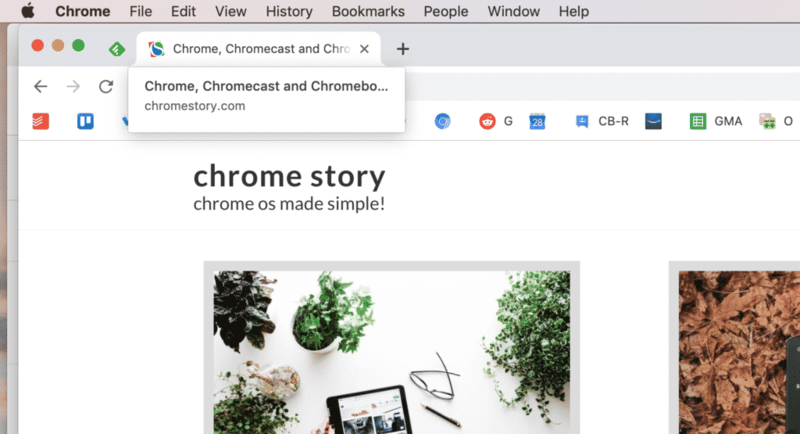 Looks like the tab tool tip on Chrome is getting a Material Design makeover. This is a very small piece in the whole Chrome user interface, but the change is very noticeable. I have had this flag enabled for a few weeks now, but the design changed after today’s update to the Canary version of Chrome. It doesn’t look polished yet. I would say we are looking at a very early version of this design. I am hoping to see this improving in coming weeks.